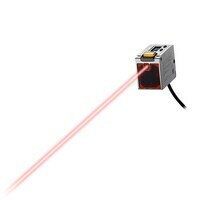 Self-contained TOF Laser Sensor LR-T series The LR-T Series of reflective sensors represents a seamless fusion of innovative technology and robust functionality. 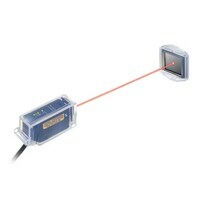 Self-contained CMOS Laser Sensor LR-Z series Laser sensor capable of detecting targets based on both position and contrast (detectable distance: up to 500mm). 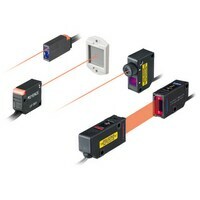 Multi-Purpose Digital Laser Sensor LV-N series Using a laser enables long distance detection for difficult applications while maintaining a focused, visible beam spot. 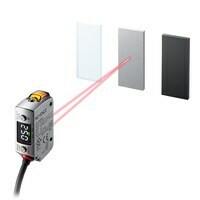 Ultra-small Digital Laser Sensor LV-S series Choose from the largest selection of laser sensors in the industry! 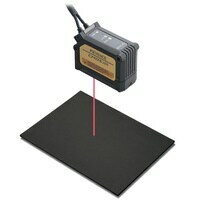 Digital Laser Sensor LV series Choose from the largest selection of laser sensors in the industry! 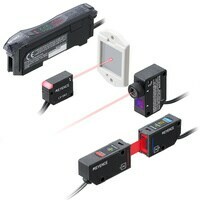 Digital CMOS Laser Sensor GV series The NEW GV Series Digital CMOS Laser Sensor provides unmatched performance, even on metal and black (rubber) targets. 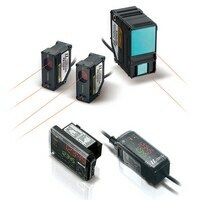 Multiple models available to meet all your laser sensing needs.